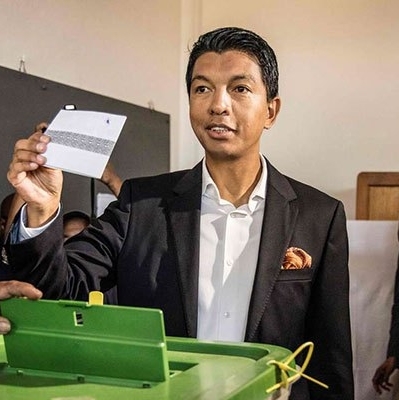 Former Madagascan President Andry Rajoelina has returned to power after beating rival Marc Ravalomanana in last week’s highly contested run-off vote, according to results published Thursday by the electoral commission. Mr Rajoelina won 55.66 percent against 44.34 percent for Mr Ravalomanana, it said. The results may be contested after Mr Ravalomanana claimed fraud. The electoral commission chief Hery Rakotomanana said “efforts were made to respond” to concerns raised by both candidates which included a review of the counting software. Mr Rajoelina and Mr Ravalomanana are former presidents and long-time rivals. Boeing and Lagos-based Green Africa Airways have announced a commitment for up to 100 737 MAX 8 aircraft, evenly split into 50 firm aircraft and 50 options, as the airline gears up to begin commercial operations. The total deal carries a list-price of $11.7 billion, the largest aircraft agreement from Africa, and will be reflected on Boeing’s Orders and Deliveries website once finalized. Green Africa Airways, a value airline based in Lagos, Nigeria aims to offer safe, quality and affordable air travel and be a significant contributor to the economic development of Nigeria and the African continent. The new airline has received its Air Transport License from the Nigerian government and is anchored by a group of senior industry leaders led by Tom Horton, former Chairman and CEO of American Airlines, William Shaw, Founder and former CEO of VivaColombia and Virasb Vahidi, former CCO of American Airlines. “The CBN upon review of the additional documentation concluded that MTN Nigeria is no longer required to reverse the historical dividend payments made to MTN Nigeria shareholders,” MTN said in a statement. As such, MTN said it had been instructed by CBN to implement “a notional” reversal of that transaction by making a $52.6 million payment. “MTN Nigeria and the CBN have agreed that they will resolve the matter on the basis that MTN Nigeria will pay the notional reversal amount without admission of liability,” MTN said in a statement. The CBN confirmed the outline of the agreement with MTN, without mentioning the $53 million payment. The agreement would lead to an “amicable disposal of the pending legal suit between the parties and final resolution of the matter,” it said in a statement. “MTN Nigeria continues to maintain that its tax matters are up to date and no additional payment, as claimed by the AGF, is due, and consequently no provisions or contingent liabilities are being raised in the accounts of MTN Nigeria for the AGF back taxes claim,” the company said. Meantime, Nigeria’s central bank said on Monday that an agreement reached with MTN over allegations that the South African company illegally repatriated $8.1 billion would end legal proceedings and meant the matter had been resolved, it said in a statement. Earlier, MTN said the matter was resolved and it agreed to make a $53 million payment. Nigeria’s central bank did not refer to a figure but said the sides decided the agreement would “lead to amicable disposal of the pending legal suit between the parties and final resolution of the matter”. Voters in three Congolese cities known as anti-government strongholds will be excluded from Sunday’s presidential elections on security and health grounds, officials said, prompting calls for protests from angry opposition leaders. The elections – also incorporating legislative and provincial polls – were originally meant to take place in 2016. They have been repeatedly postponed since, sparking violence in which security forces have killed dozens of people. On Dec 5, Health Minister Oly Ilunga said the Ebola outbreak – declared in August and the second-worst in history – would not interfere with elections, noting that voter registration elsewhere in Congo last year had not been interrupted by a separate outbreak. Security forces in eastern Democratic Republic of Congo fired live rounds and tear gas on Thursday to scatter demonstrators who burned tyres and ransacked an Ebola centre in protest at their exclusion from the presidential election. Protesters ransacked an Ebola isolation centre in Beni, causing 24 patients to flee, health ministry spokeswoman Jessica Ilunga said. Colonel Safari Kazingufu, the police commander in Beni, said three policemen were wounded while trying to restore order, including around the Ebola centres. Seventeen protesters were detained in connection with the attack on the centre, he said.